Since 1995 we have provided Air Conditioning Repair for thousands of homeowners, keeping them cool and comfortable indoors on hot summer days. 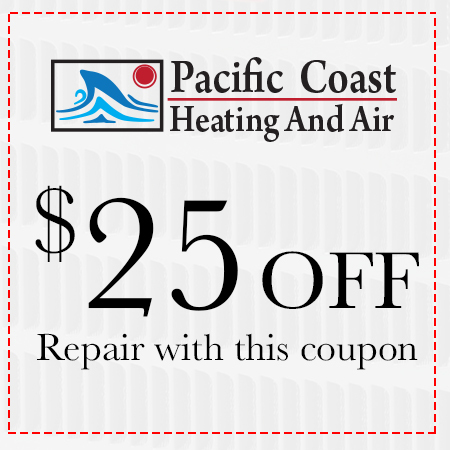 Pacific Coast air conditioning repair delivers the best Air Conditioning Repair service, while backing up our air conditioning repairs with up to a 5 year warranty*, we guarantee you our technicians are delivering certified Air Conditioning Repair services by guaranteeing our repairs. Our Air Conditioning Repair technicians are on call 24/7 ready to handle any Emergency Air Conditioning Repair serivice. We provide Air Conditioning Repair for all air conditioner makes and models. What city in Santa Clarita do you need Air conditioning repair in?